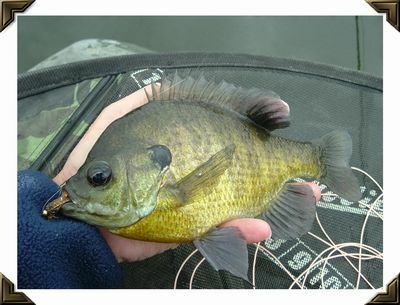 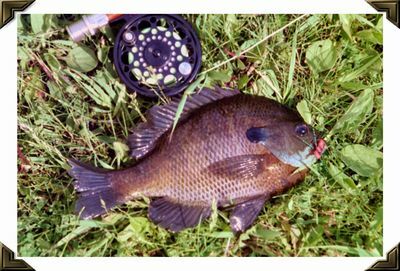 Bluegill taken on a Whitlock Fox Squirrel Nymph by W. Bean in the Fall of 2004 in Mills County, Iowa. 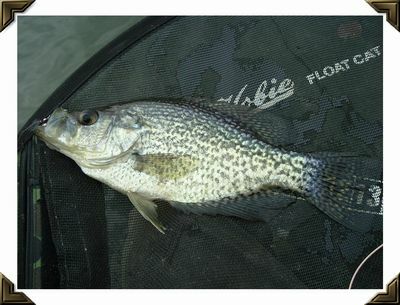 Nice Crappie taken by W. Bean on a Beady Eyed Leach in the Sping of 2004 in Mills County, Iowa. 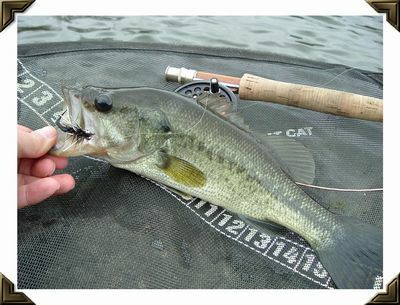 Largemouth Bass taken on a Beady Eyed Leach in the Sping of 2004 in Harrison County, Iowa. 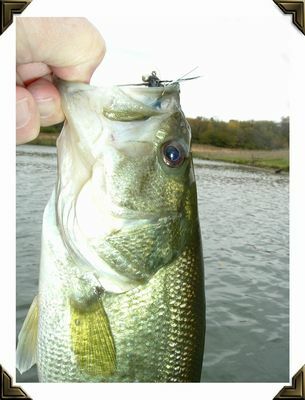 Largemouth Bass taken by W. Bean in the fall of 2004 in Mills County, Iowa.